This is the house you have been looking for! Perfect for down sizers or first time home buyers! Your very own mini compound! Just recently updated with new kitchen and baths (like the caulk is barely dry). Stainless energy star appliances, tile floor & butcher block counter tops, new Pergo in large living room. Home also features beautiful heated sunroom, first floor laundry & "Man Town" part fin bsmt w wetbar. There is nothing to do but move right in. And best of all is the 3 rm sep Accessory Apartment that is currently rented for $900 (possibly under market value). Great for income property, in-law/Au Pair or those children that haven't left home yet! There is a wonderful private patio area for both the main house and the apartment. Yard completely fenced in woof! Shared driveway w/ 3 car tandem parking 1 garage space and 2 on driveway directly to left of house. 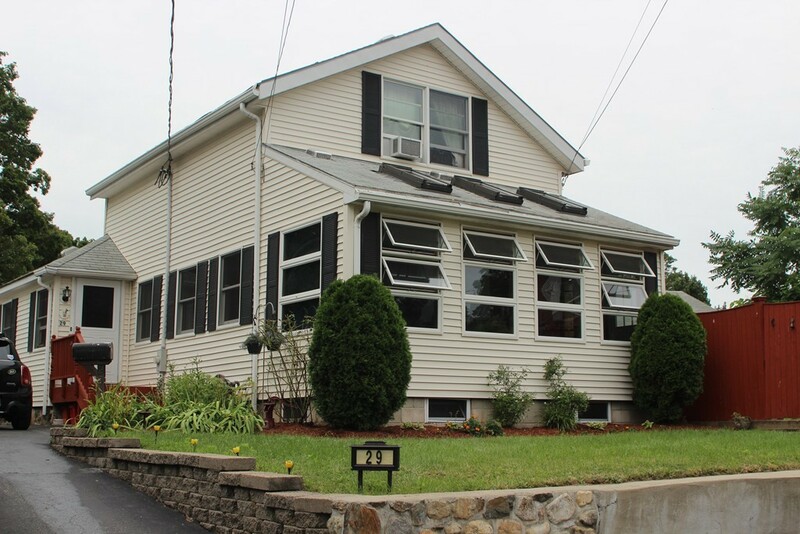 Located in a very quiet neighborhood that is walkable to everything that downtown Reading has to offer and Commuter Rail.